Keystone Antiques in Hudson, NY is a very unique shop that specializes in Central American furniture and folk art. The interior of the store is a marvelous maze of discovery. The inventory is great. 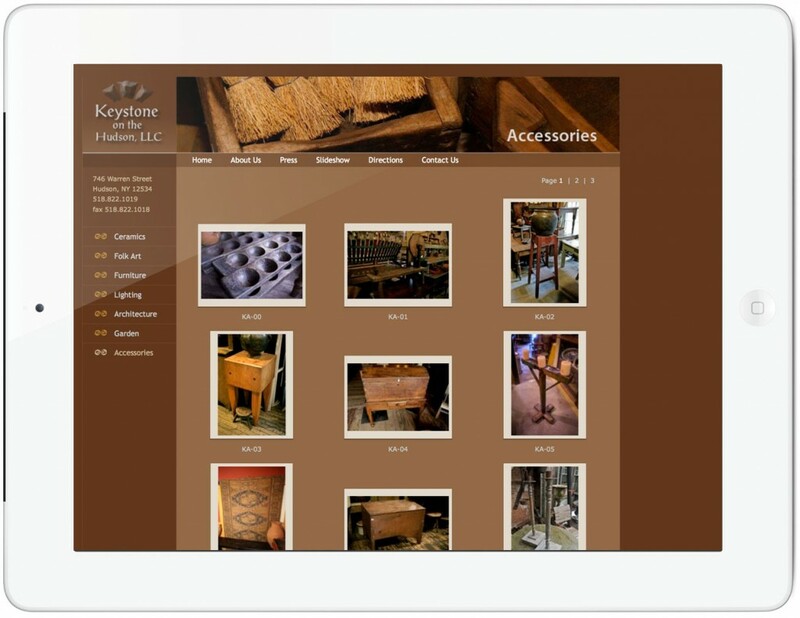 The website for Keystone, after the initial design and setup, was an ongoing project of photographing, cataloging and updating new inventory several times a year. 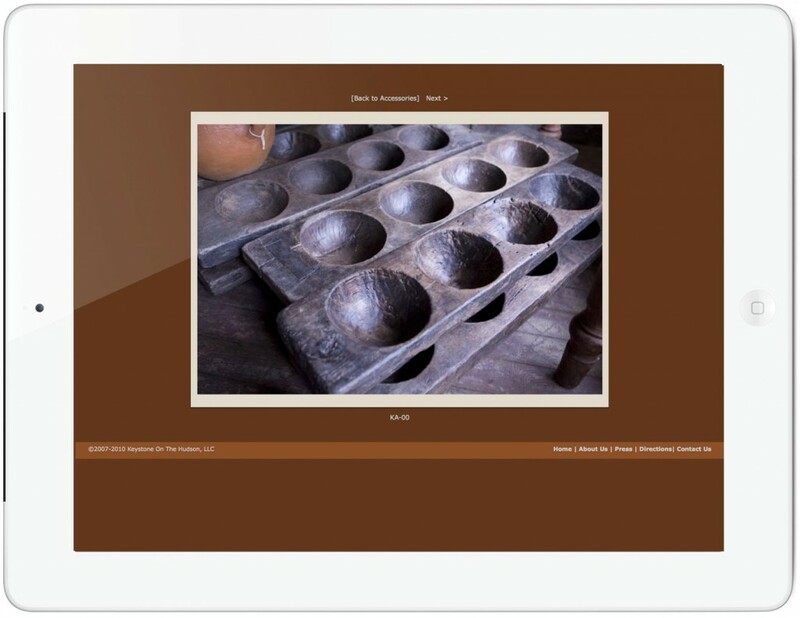 The colors and photographs on the homepage, and banners clearly reflect the store and special wares that it sells. 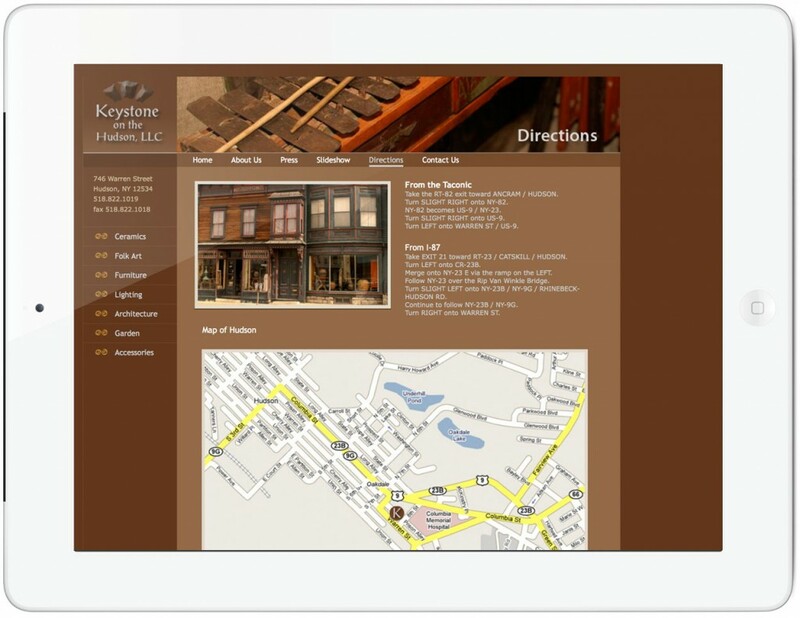 The website also includes an audio slideshow about Keystone and Hudson, NY. 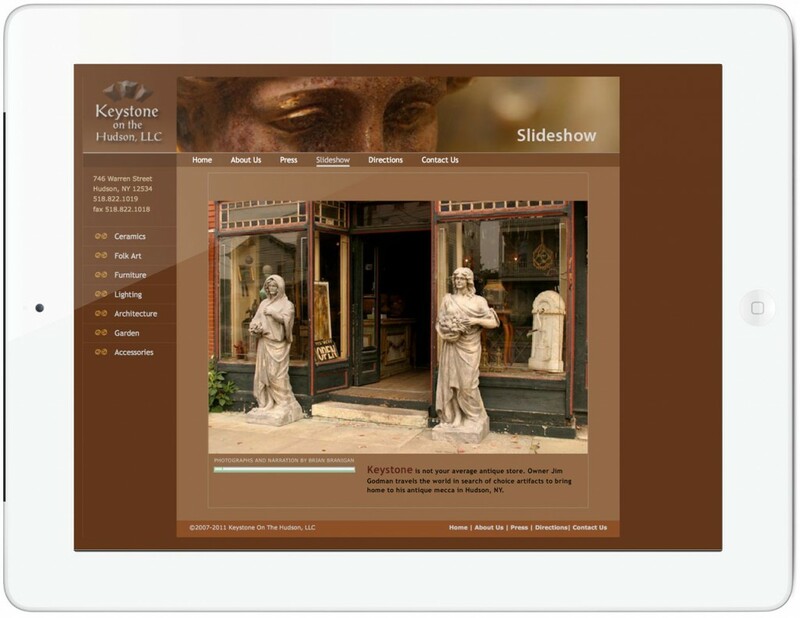 Keystone moved from Hudson in 2011 to Santa Fe, NM but the website is still available for you to take a look.